What does any self-respecting wine lover want for Christmas? Wine, of course, and the prospect of having twelve days of Christmas with which to receive an enviable supply of fine wine makes the gift all the more exciting! So, what would be a fitting selection of wine to receive for Christmas from my true love? Two bottles of Bellingham The Bernard Series Small Barrel S.M.V. These amazing wines come from my true love, The International Wine of the Month Club™, and I would enjoy these exceptional wines with the partridges and the pears from the pear tree. True confessions, yes! Remorse, no, I don’t plan to lose any sleep over past transgressions, mine or anyone else’s. So, here it goes. Years ago, I loved Chardonnay, and then I just lost interest. At first, it was benign neglect. But then I found myself loathing quite a few Chardonnays, especially a certain breed of California Chardonnay with its propensity for flabbiness and preponderance of oak. At times, after tasting some of these wines I thought I would have to pick splinters from my mouth from the less than judicious use of raw wood. “Is this wine I’m drinking or oak water,” I asked myself. And honestly, I wasn’t sure. I began to hate such concoctions. Admittedly, there were exceptions and some extraordinary California Chardonnays that were not over-oaked or under-wined depending upon one’s perspective. And there were still many French white Burgundies (the original Chardonnay and my first Chardonnay love) that stood the test of time, but the cost of the finest French Burgundies went through the roof in the 1990s and have kept on soaring to the point where such classics are now the exclusive domain of multi-millionaires and billionaires, which precludes me and nearly the rest of the planet, too. I still get to taste these Burgundian classics on occasion, but purchasing them is out of the question. Too bad, but aside from the ridiculous cost, the payback just isn’t that great . . . most of the time. So, what now? I’m coming full circle on Chardonnay, back to where I once belonged. I enjoy lighter more affordable French Chardonnays such as Pouilly-Fuissé and many California and Washington State Chardonnays, too, now that these producers have begun to eschew oak and those that still barrel ferment and age their Chardonnays have come full circle, too. 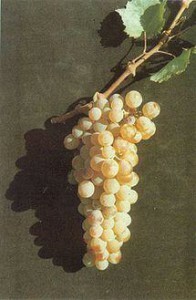 Many producers have toned down their use of oak and now allow the luscious, natural flavor of Chardonnay to show through. Apparently, I was not alone in my distaste for wood chips, splinters and mega doses of vanillin. So, for me there’s more now to love than hate. For the Love of the Grape, Red or White? In a perfect world, everyone’s partner would share our deep and abiding affection for the vino. Mine does and it makes things so much easier. I’m so grateful that we both enjoy tastings and good wine! However, his preference is red wine only, whereas I like both. We have wine with our dinner almost every evening, and we do eat a fair amount of white meat and fish. So, I do have my share of Sauvignon Blanc, Chardonnay, Viognier, etc and he has his usual Cabernet Sauvignon, no matter what traditional pairings suggest. As often as not though, two bottles are open on our dinner table. We purchase more red wines than white because of this, and therefore have more red wines in our collection than whites. So how about you – when it comes to wine, is there ever any domestic tension over your purchasing and consumption habits with your significant other?